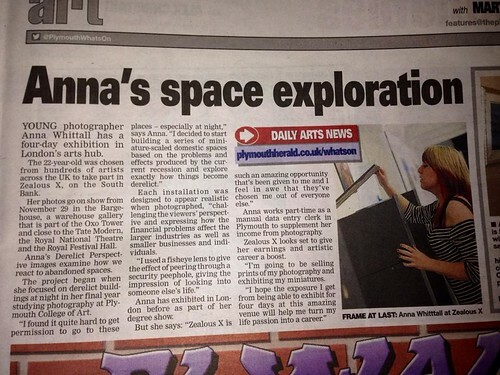 YOUNG photographer and Archive committee member Anna Whittall has a four-day exhibition in London’s arts hub. The 22-year-old was chosen from hundreds of artists across the UK to take part in Zealous X, on the South Bank. Her photos go on show from Friday, November 29 in the Bargehouse, a warehouse gallery that is part of the Oxo Tower and close to the Tate Modern, the Royal National Theatre and the Royal Festival Hall. Anna’s Derelict Perspective images examine how we see and react to abandoned spaces. The project began when she focused on derelict buildings at night in her final year studying photography at Plymouth College of Art. Anna worked with us on the Pride in Our Past project taking many of the high quality photos that was used in the Pride in Our Past exhibition. 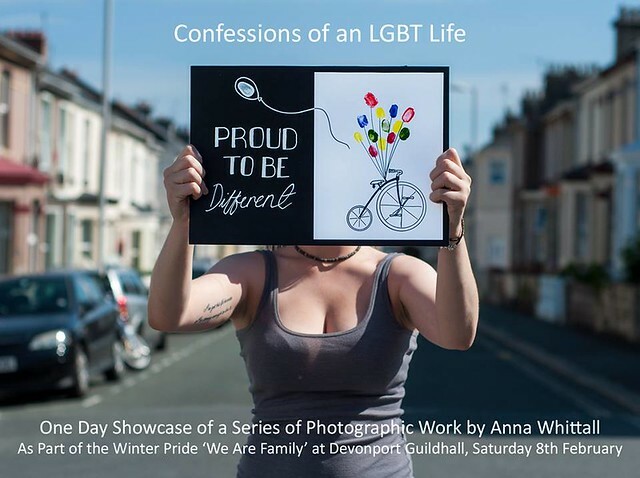 Anna is currently working on a project to support Plymouth’s Winter Pride that will take place at Devonport Guildhall on Saturday 8th February 2014.